There is an increasing interest in indigenous fruit trees (IFTs) and their potential role for agroforestry, food security and poverty alleviation. Despite the growing numbers of studies on IFTs in Africa, little research has focused on the rainforest zone outside Cameroun and Nigeria. 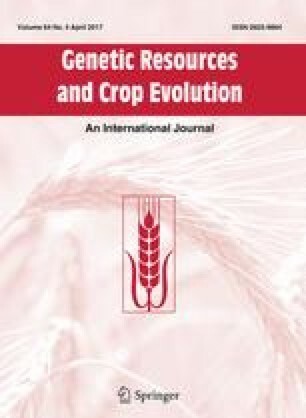 This study investigated if the important IFTs of Sierra Leone are among those previously identified as ‘priority’ species for this zone and, as they are not, a new approach combining focus-group data, field observations, a market survey and a ranking exercise was used to determine which IFTs have highest potential for agroforestry in a given area. Results indicated that the most important IFTs in Sierra Leone as established by local farmers are Parinari excelsa Sabine, Cola lateritia K. Schum., Pentaclethra macrophylla Benth., Heritiera utilis (Sprague) Sprague and Bussea occidentalis Hutch. However, following the ranking exercise, the species H. utilis, Garcinia kola Heckel and Beilschmiedia mannii (Meisn.) Benth. et Hook. f. ex B. D. Jacks., highly appreciated by locals, already managed by some farmers and reported ‘difficult to find in the wild’, were found to have the highest potential for agroforestry in the country. The findings highlighted that previous IFTs prioritization in Cameroun and Nigeria were not representative of the whole African rainforest zone. A new approach was successfully used to identify the IFTs with greatest potential for agroforestry in Sierra Leone. This simple cost-effective approach, which straightforwardly identifies opportunities and challenges for each species, could be used elsewhere in the tropics to establish a baseline for future domestication programs. A. Jusu is grateful to his parents for their support. We are thankful to all the participants in this study for their time and interest in collaborating. We also thank M. Swaray and A.M.B. Feika for technical assistance, and two anonymous reviewers for their significant contribution. The authors declare that they have no conflict of interest. The authors were self-funded.